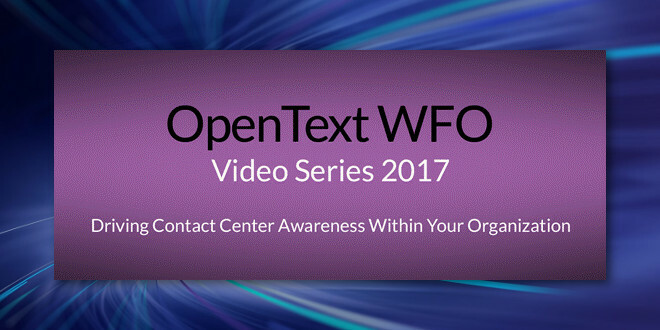 OpenText™ "WFO Video Series: Defining a Positive Customer Experience" - Open Text Web Solutions Usergroup e.V. OpenText™ "WFO Video Series: Defining a Positive Customer Experience"
To paraphrase that old adage about art: I may not know much about customer experience, but I know what I like. As professionals in the contact center business, we know a thing or two about customer experience because we live and breathe it every day. We would generally agree, I think, that customer experience is commonly described in terms of our customers’ personal opinions about their interactions. So the simple definition of a positive customer experience might include delivering a service that leaves customers with a feeling of having been heard, of having received satisfactory resolution of an issue, and of thinking that, yes, they just might recommend us to a few friends.